Water pollution has become a monumental problem which needs immediate attention and remedial action today. Indeed the supply of clean and safe water has been a challenge; contamination of water because of hazardous heavy metal ions, pathogens and dyes has made things even worse. All of these contaminants are potent environment and health degrading elements. Water treatment by means of technologies such as membrane separation, ion-exchange, reverse osmosis, oxidation, photocatalysis and adsorption is currently in practice. Among the existing systems of water treatment, adsorption is proposed to be the most viable approach for water treatment owing to its ease of operation, high efficacy, economical and eco-friendliness. Innumerous solid sorbents have been explored for treating heavy metals, dyes, pesticides and pathogens present in polluted water. Activated carbon made from various resources has been the primary material used for sorption of contaminants. Even though activated carbon is recognized as a universal adsorbent for treating wastewater, there are several limitations like high cost and high energy consumption. Hence, it is necessary to develop other low-cost and sustainable adsorbents. Provision for the supply of safe drinking water in rural India, with about 1.42 million habitations and millions of water sources, is an amazing task. Due to the logistical problems and inadequate water quality testing infrastructure, generation of reliable water quality data on regular basis has been an acknowledged problem. Monitoring and surveillance of water quality on regular basis, has the objective of protecting the water sources to the greatest extent possible. When contamination occurs, effective quality testing provides early warning, which permits interventions aimed at reducing/ or eliminating undesirable constituent to the acceptable level. In order to overcome these issues research is addressed towards Development of – Low-cost & eco-friendly adsorbents by simple methods using precipitation, sol-gel and hydrothermal techniques. – Cost-effective field testing kit for the detection of key elements in drinking water. 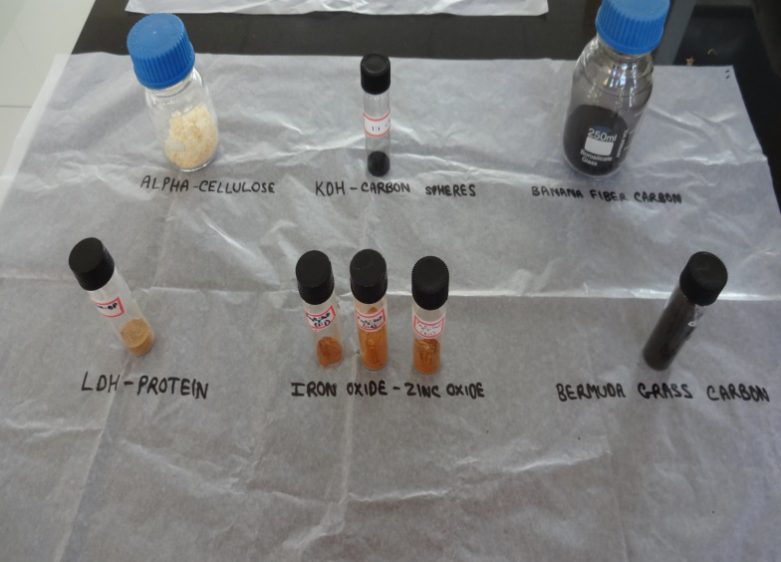 Towards exploring new low-cost and eco-friendly adsorbents, the group has developed metal oxide and their composites, graphene composites, plant protein-layer double hydroxide composites, cellulose nanocomposites, carbon spheres and activated carbon derived from various bio resources etc. Many of these nanomaterials/composites show exceptional adsorption towards metal ions, dyes and pathogens removal from contaminated water. Combination of spectroscopy, electrochemistry and microscopic techniques were used to understand the material synthesis and water purification mechanism. 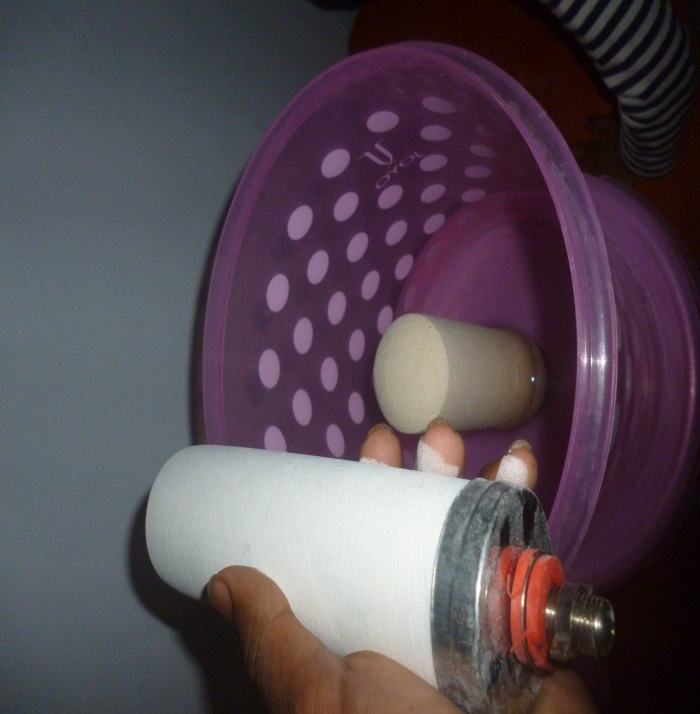 Ultimately the gained experience is used to develop low cost community based water filters for rural households. 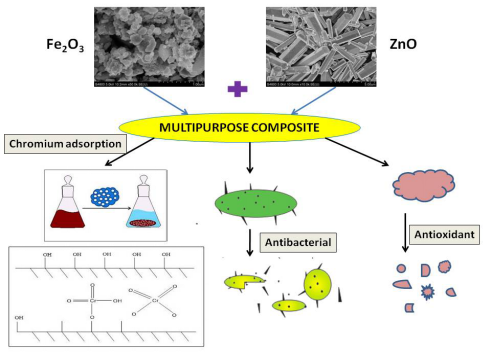 Typical image showing, multifunctional composite of Fe2O3 and ZnO synthesized by hydrothermal method was used for Cr(VI) removal and to study antioxidant and antibacterial properties. The composite was found to eliminate about 97% of Cr(VI) from the solution of concentration range 5-20 mg/L. Additionally, Fe2O3-ZnO composite displayed useful character of antioxidant property by inhibiting 12% of DPPH free radicals.The Fe2O3-ZnO composite killed more than 99 % of Staphylococcus aureus from water. Furthering these ongoing studies the team is also working on the development of multiparameter water quality test kits to measure physical, chemical and microbiological contaminants in the water. This kit can be used as a standard tool to collect information from various water sources. Water quality test kits are ideal for engineers, water treatment professionals; and building services and facilities management specialists involved in water testing applications including potable water, industrial process systems, boilers and cooling systems, swimming pools, and wastewater treatment. The developed hierarchically assembled nanostructured metal oxides, grapheme nanocomposites, polymer functionalized hydroxides, carbon sphere, open ended hollow carbon and other structured carbon based materials derived from various bio-sources have exceptional adsorption capacity and are capable of removing heavy metals and dyes including some of the pathogens from the wastewater. Many of the above materials also act as good photocatalysts for the degradation of azodyes. 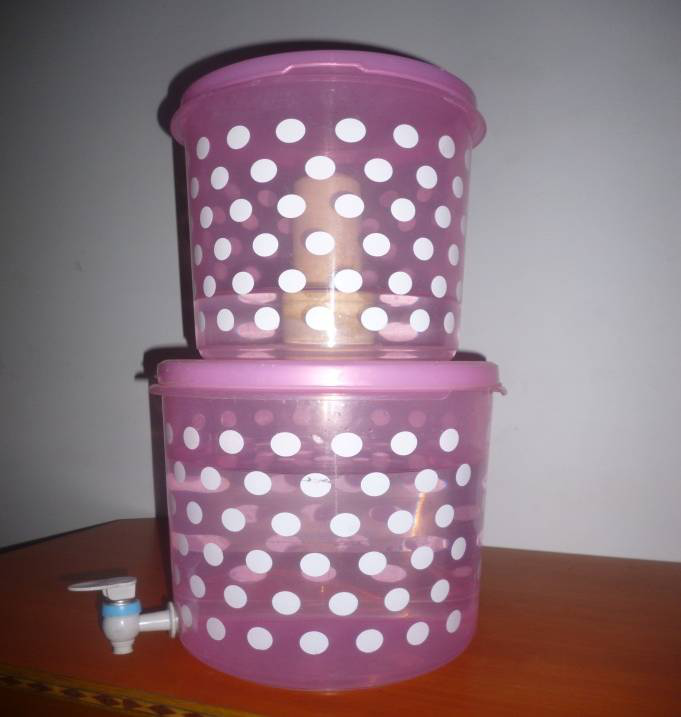 The ultimate objective of our research is to develop low-cost community based water filters for rural population using locally available cheap materials such as sand or bio-carbons. In this direction, the team has developed certain low-cost water filters such as slow sand filters, ceramic water filters and nanomaterials based gravity filters in collaboration with industries. 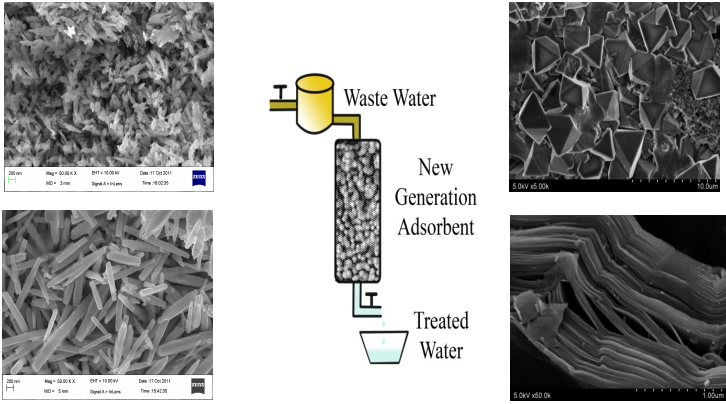 Highly Porous Carbon from a Natural Cellulose Fiber as High Efficiency Sorbent for Lead in Waste Water, H.B. Muralidhara et al., Bioresource Technology(2017) 245:296-299, IF:5.651. Potential Applications of Cellulose and Chitosan Nanoparticles/composites in Wastewater Treatment: A Review. Sharon Olivera, Muralidhara H. B., Venkatesh K., Vijay Kumar G., Gopalakrishna K., Yogesh Kumar K. Carbohydrate Polymers (2016) 153:600–618. IF: 4.811. SnO2 nanoparticles as effective adsorbents for the removal of cadmium and lead from aqueous solution: Adsorption mechanism and Kinetic studies. Yogesh Kumar K., Vinuth Raj T.N., Archana S., Sharon Olivera, Muralidhara H.B. Journal of Water Process and Engineering (2016) 13:44–52. IF:0.913. Magnificient adsorption capacity of hierarchical mesoporous copper oxide nanoflakes towards mercury and cadmium ions; Determination of analyte concentration by DPASV,H.B. Muralidharaet al.,Powder Technology(2014)258: 11-19. IF: 2.942. Low Cost Synthesis of mesoporous Zn(II)−Sn(II) mixed oxide nanoparticles for the adsorption of dye and heavy metal ion from aqueous solution,H.B. Muralidhara et al.,Desalination and water treatment(2013)51: 1–15. IF: 1.18. Low-cost synthesis of metal oxide nanoparticles and their application in adsorption of commercial dye and heavy metal ion in aqueous solution,H.B. Muralidhara et al., Powder Technology(2013) 246:125–136. IF: 2.942. Science Direct, top 25 list of most downloaded articles ranked 16th on the top 25 for powder technology – July to September 2013. Hierarchically assembled mesoporousZnOnanorods for the removal of lead and cadmium by using differential pulse anodic stripping voltammetric method H.B. Muralidhara et al., Powder Technology (2013) 239: 208–216. IF: 2.942. Graphene and graphene oxide as effective adsorbents toward anionic and cationic dyesH.B. Muralidhara et al., J of Colloid and Interface Science (2011)361: 270-277. IF: 4.233.‘Top cited articlein the year 2010-11 award by ‘Journal of colloid and Interface Sciences’. Electrochemical work station (CH Instruments, USA), Water bath, Ultrasonic bath, Muffle Furnace, Vacuum oven, Water distillation unit, Hot air oven, Deep freezer, Fischer Centrifugation unit. Muralidhara completed his Master’s and Ph.D from Kuvempu University, Karnataka and joined IISc, Bangalore as a Post-doctoral fellow in the year 2008. Subsequently he got into the academic domain and worked as Head-R&D Chemistry at KSIT and Center for Emerging Technologies, Jain University, Bangalore. Muralidhara’s main research domain includes electrochemistry and water purification. Research on Electrochemistry involves the development of low-cost Iron based flow batteries for renewable storage and electrodeposition on metals/alloys or 3D plastics for aerospace, automobile, medical and engineering applications. Research on water purification includes design and characterization of hierarchical nanostructures for removal of heavy metal ions and dyes from contaminated water. He has already completed projects funded by VTU and DOS and currently has ongoing projects from DST. 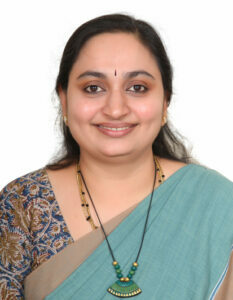 Muralidhara has authored about thirty five research articles and one book. His publications have so far been cited more than 700 times and has a h-index of 8. He has supervised two Ph.Ds, and more than thirty students at the Master’s level. Apart from basic and applied research he is also associated with projects having societal relevance and industrial/consultancy projects in the area of environment and electrochemistry. Muralidhara is the recipient of “MRSI Medal” by Materials Research Society of India. He is a life member for several bodies and reviewer for reputed publishers like Elsevier, Springer and Taylor and Francis. Also he is the recipient of best oral award in conferences, top cited articles award and best reviewer award from Elsevier. He has delivered many invited/plenary lectures and is currently working as an Associate Professor. Swetha Seshagiri has a Masters degree in Microbiology from Government Science College, Bangalore during 2006-08 and Doctoral degree for her thesis entitled “Interactions of Piriformospora indica with Solanum melongena L.” She has eight years of research experience having worked as Researcher at the Centre for Emerging Technologies, Jain University. Swetha has worked on inactivation of water borne pathogens using nanoparticles (water disinfection) and also on antimicrobial activity of newly formulated Ayurvedic drugs. She has filed three patents, alongside twenty five publications in peer reviewed international journals and attended several national and international conferences. She has attended several entrepreneur development programmes. She has also successfully worked on projects of VTU, DST and DRDO during her research career and currently has a Early Career grant from DST. Additionally Swetha is also a certified Coffee barista and taster and works as an Assistant Professor. Sharon Olivera is a Research Fellow having completed his M.Sc. in Chemistry from Bangalore University and working towards his doctoral degree. His area of research interest includes electroplating of 3D printed plastics and removal of heavy metals and dyes from wastewater. Anantha M S is a Postgraduate in Chemistry from University of Mysore and is working towards his doctoral degree. His areas of research interest are detection and removal of pollutants from wastewater and development of nanostructured materials for electrochemical applications. Presently, he is working as a Research Fellow in the centre.